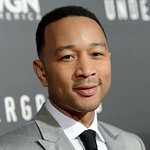 Recording industry heavyweight and civil rights activist, John Legend, will be on hand as an award presenter at the TJ Martell Foundation's Women of Influence Los Angeles event on May 15th, 2015 at Loews Hollywood Hotel. Legend, a 2015 Oscar winner, is managed by Ty Stiklorius, Co-President of Atom Factory, and one of the 2015 Women of Influence Award Honorees. The award recognizes leaders who inspire other women everywhere to live their dreams while balancing work, home and health. The Women of Influence Awards Los Angeles will be hosted by Sandra Fluke, California State Director for Voices of Progress, who will also be honored at the event for her achievements in policy advocacy. She will be joined by fellow honorees, Stiklorius; Jennifer Justice, EVP of Strategic Marketing & Business Development for Roc Nation; and Sherry Dewane, Wealth Advisor for Wells Fargo. The Foundation is delighted to announce that Dr. Sara Hurvitz, associate professor of medicine and director for the Breast Oncology Program at UCLA will be the event’s guest speaker. The honorees represent a dynamic group of female leaders from diverse industries like media, medicine, government and entertainment. The 2015 Women of Influence Los Angeles Awards & Luncheon tickets, sponsorships, and journal ads can be reviewed by going to www.tjmartell.org.